Don’t take poor style lying down! With a classic horizontal crossover bag like the Extruded, you never have to, since this bag has been engineered to high-quality, iconic Hedgren standards. 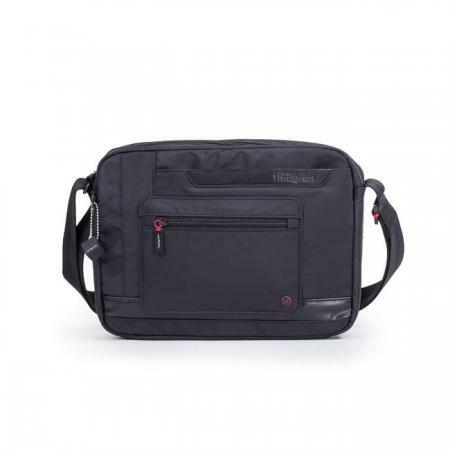 Lightweight and water-repellent, with an adjustable shoulder strap, this is a truly functional piece. Red accents enhance the smart design while organizational aspects include multiple pockets, including one back zipped pocket and a compartment with a foamed tablet sleeve – ideal for your gadgets! This is a modern bag made to solve all the accessory issues of the modern man.